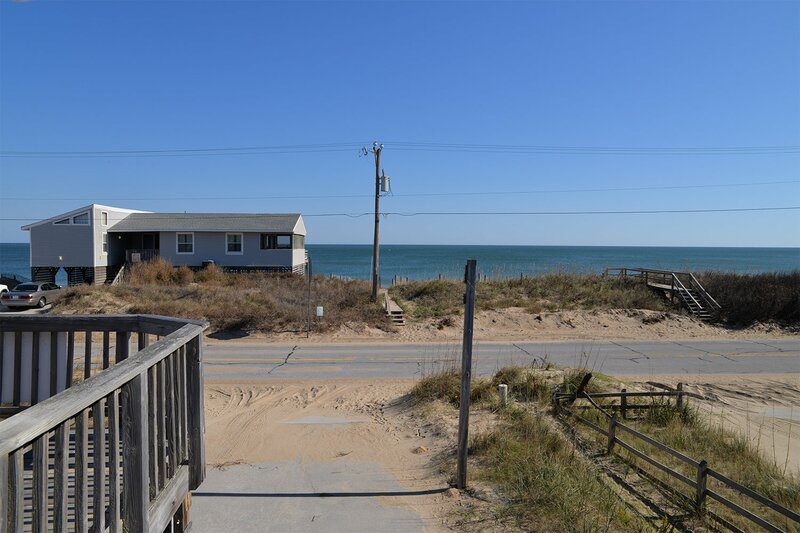 Experience relaxing ocean views at the "Mullin" beach house located at Mile Post 4.7. 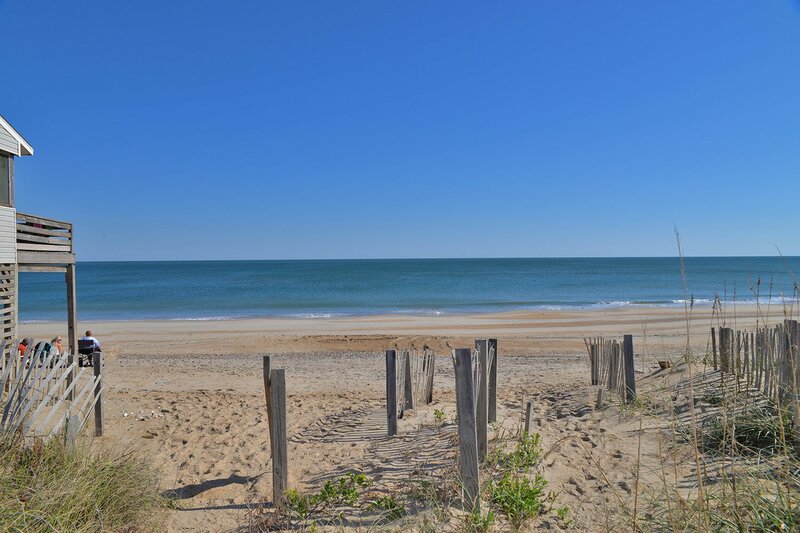 This home offers direct, deeded ocean & beach access. 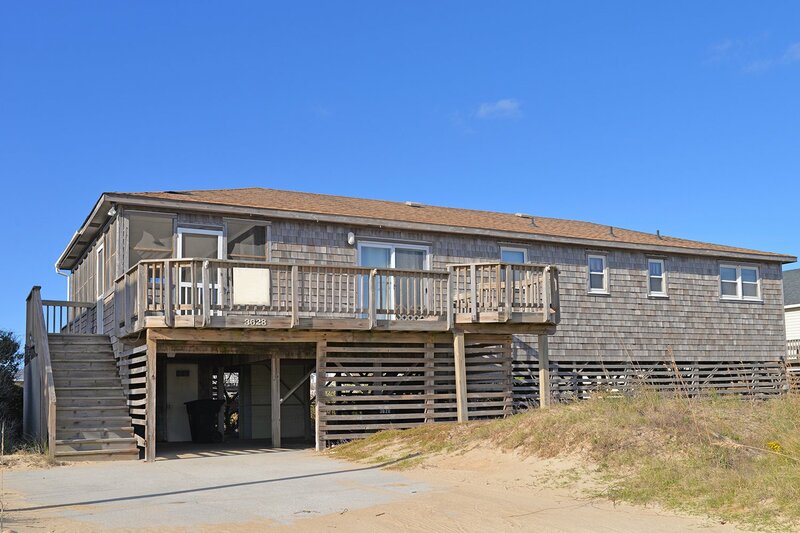 Your family is sure to enjoy this traditional family beach cottage & the comfort it provides. 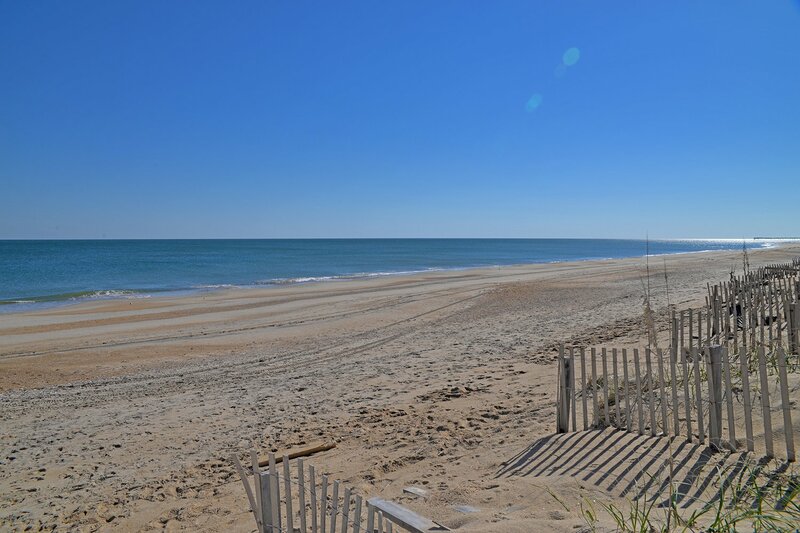 Situated just across the street from the beach, it is as close to the ocean as many oceanfront properties. 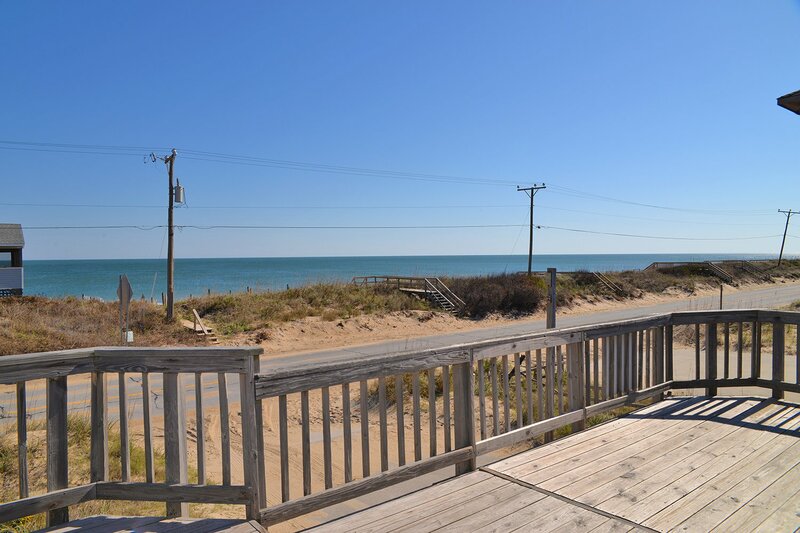 There is an ocean facing sundeck & a screened porch for watching the blue Atlantic, sunrises over the ocean & nighttime star gazing. 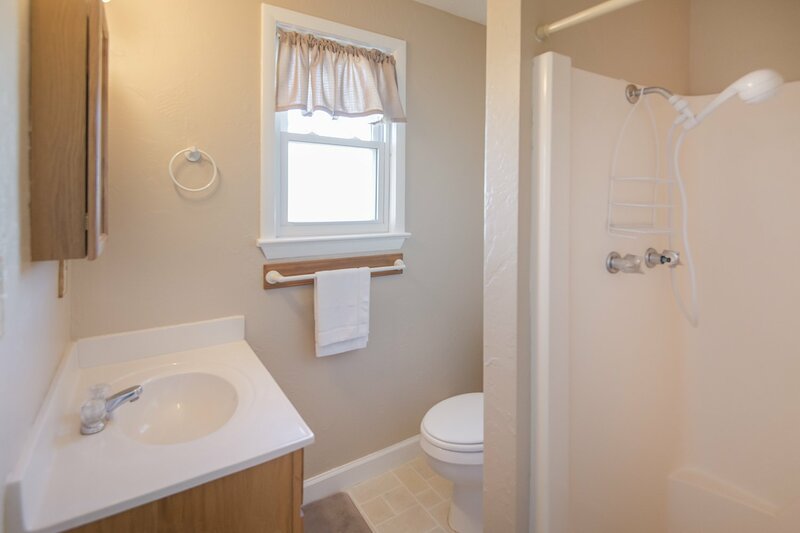 Convenient to several outstanding restaurants & shopping. Ground Level: Parking for 3 Cars, Steps to Entry, & Enclosed Outside Shower. 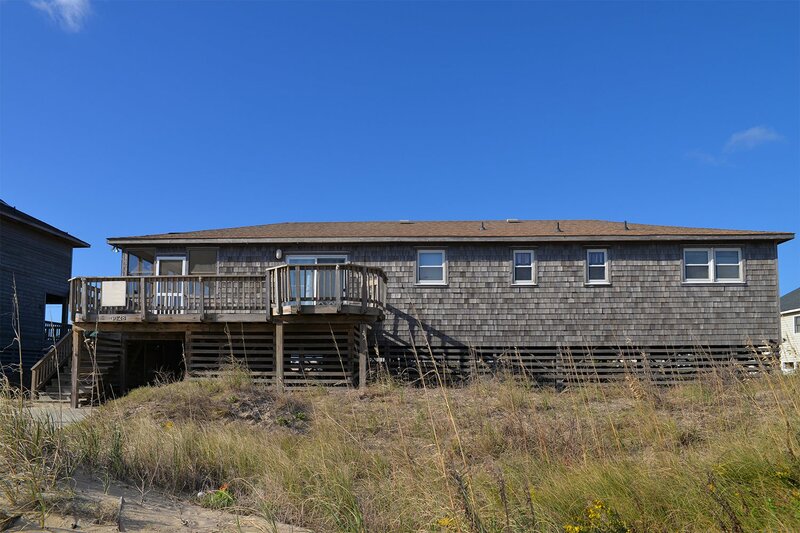 Main Level: Living Room w/TV/DVD, Large Dining Table w/Seating for 8, Kitchen w/Counter Seating for 4, Large Screen Porch, 4 Bedrooms (Master w/King, TV & Full Bath (shower), 1 w/Queen, 1 w/Double & TV, 1 w/2 Singles), Full Hall Bath, Sun Deck w/Exceptional Ocean Views & west facing Sun Deck. 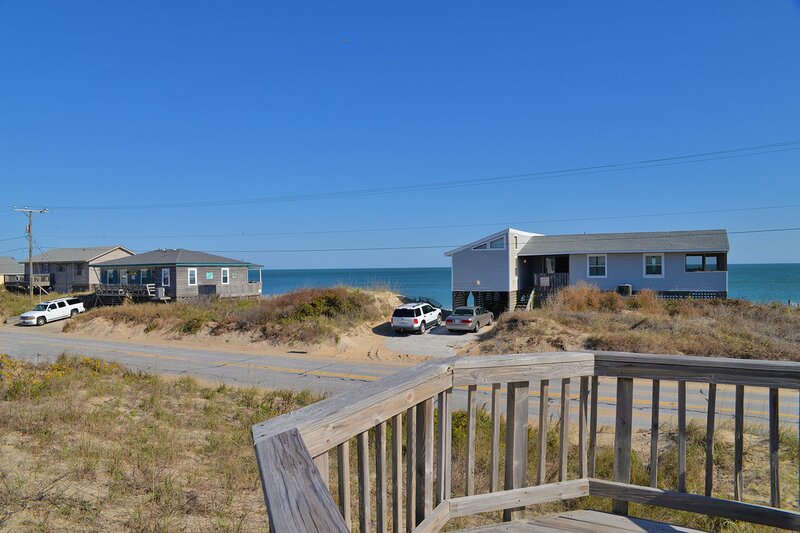 Features include: C/AC & Heat, Washer/Dryer, Dishwasher, Microwave, Phone, 3 TVs, DVD, Stereo w/CD, 5 Ceiling Fans, Wireless Internet, AM/FM Radio, Deck Furniture, Clothes Line, Direct Ocean & Beach Access. No Pets. This is a Non-Smoking Unit. We absolutely loved our stay in Mullin. The house was very comfortable and perfect for our family of 5 (3 young children). We are considering booking this place again for next year! The views from the front porch were my favorite--can't be beat for a house that isn't located on the beach. Beds were comfortable too! This was the third time we have stayed at Mullin. We have enjoyed our stay very much each time. Great location and house features are perfect for us and our two boys, age 9 and 6.